Hello gals! This post is really exciting me and my twin have decided to Merge our blogs!! So this blog will be closed and I will join my twin over at her blog where I will be doing blog posts there and doing blog posts together!! The camera came back from the dread and is still limping about taking photos!! I’ve been up to a lot while the hiatus was on I did a digital Media course which I loved with my twin and met some new people too! I’ve also done a lot of crafting so look forward to a post on that soon! I’ve also been doing some sale shopping too! after seeing a lot of cool gyaru’s tottering around in dungarees shorts and playsuits I just had to get one! I also got a ethnic bangle set and a brass coloured necklace with lockets and keys on very Alice in wonderland! I also bought an owl necklace keeping with the ethnic theme I love the eyes on it they jump out to me! I bought a baggy cotton top (which looks soo bad on the hanger I didn’t notice until nowww!) which you would wear with leggings and a waist belt for a boho look. 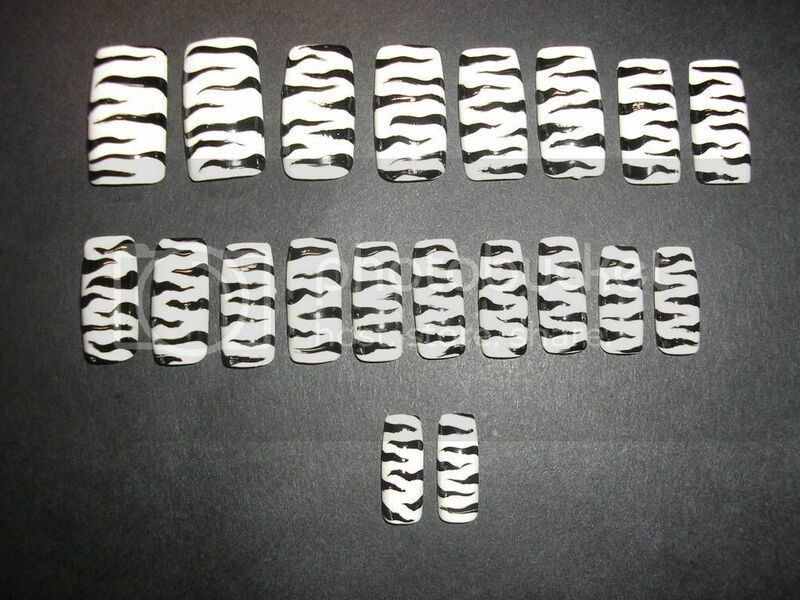 I also bought these false nails from a Japanese stall In the metro centre (a Newcastle mall) with leopard print hearts on and little gold beads surrounding it but unfortunately I’m allergic to the glue so I’m going to do a giveaway sometime with them in I only opened them to look inside at the glue to check if I was allergic so there not used or anything. I then bought some foundation (collection 2000 lasting perfection foundation) which works fantastic! and a Gosh velvet touch lipstick in 134 Darling, which is fantastic to perfect for the neutral look! Hey gurlies, In my last post I said that I tried a manba rokku hair style. so onto the pictures! I decided to test run this hair at a Wii party we were doing that night. My friends had mixed reactions on it 1 girly liked it the lads and another girly didn’t but I understand with gyaru its not the norm around where I live. But I still felt great and good about myself! We did dancing games like wii just dance, even the boys joined in!!! (with much force needed though :( ) My hair got demolished a bit but that added to the fun!! But the night didn’t go to plan as much but It still gave me a chance to test the style out. now to get scientific lol! the hair went flat in 4 hours with dancing as well which I think is mega sturdy for such a hairstyle! it took a lot of effort to do but was worth it. So all in all I’ll give this hairstyle on me 80% love it factor! It’s a bit too extreme for me but was fun for one night!! What is your favourite party hairstyle? answer this question : "What do you like the most about your own blog?" What do you like most about your own blog? well I can be myself. as my school life has been horrendous bullying I don’t know many friends who like fashion as much as I do. But online I can talk to like minded people and enjoy it and get better at it! so I like my blog because of the community it has let me be involved in! I’m not going to pass on this award because there is sooooo many to choose from and I don’t want it to be like chainmail. hey gals! In the last couple of weeks when My twin was dying her hair blonde. I had a go at a gyaru hairstyle very popular with gyaru mag Ageha and followed a tutorial that a blogger did here. I had ago at a hair style very similar to the one on the right of the picture. I did a French plait or a scalp plait starting for the fake cornrows then twisted the rest and pinned with grips. I flicked some of the strands out at the end to make it look more individual and backcombed and sprayed some of the hair already on the side it was going to be piled onto to make it more thick. I think It’s better then the one I did on myself! Thanks Claire for being my model!! Hi guys just wanted to share a few things I’ve bought from the beginnning of the month I’ve been shopping this weekend I’ll show that later. I got these canvas lace up boots from new look for £35.00 Inspired by these gilfy boots on the left. 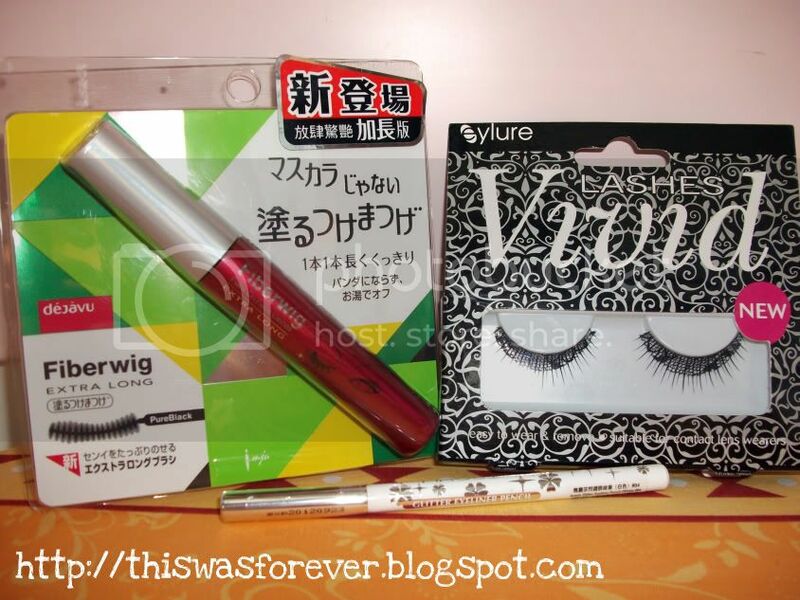 I also bought.. a N.Y.C white pencil eyeliner for the old style gyaru make-up look that is coming back. It didn’t show up to well on me but I don't know if that's because I’m too pale. What's your favourite recent buy? The tops a pale pink colour sorry for weird facial expression but the sun was blinding! I want to buy some gyaru swimwear any ideas? Hey guys I just wanted to share some pictures of eye make-up I do! When I do my make-up I normally concentrate on the eyes the most and I find it interesting and hope it inspires you. First of glitter eyeliner/black eyeliner combo. I like this look as there is many different colour glitters you can do and it makes your eye pop! I also used some white eyeliner on the waterline to make my eyes pop I used max factor glide and define eyeliner for the black. This is for a more glam look and would be used for going out for an event! white eyeliner in corner with black eyeliner combo old style gyaru I know but I saw Romihi wear it on a recent egg cover. You have to blend it well I find or else it doesn’t look as good. I use a black shimmer stick to add to the black and add glitter for a smokey look. The white really makes your eyes look fresh and young! What’s your favourite eye make-up? all of which are amazing I’m sure everyone's seen reviews on fiberwig mascara if not search it up the results are amazing! The eyelashes are so pretty and interesting! These are my nails until I can think of a new idea for my nails. there a French manicure pink colour and a pearly pink/lilac colour nail polish with zebra stripes and glitter nail varnish and little hot pink gem on each nail (they fell of when I redid the photo as it was blurry). Inspired by the pastel colour gyaru short nails and the 3d Japanese nail designs. 1. Make sure nails are clean and paint nails in your two colours (lilac/pink) Paint more coats if needed. 2. Once dry and get your sharpie or permanent marker and make thin lines and thick lines in a bit of a curve don’t worry if you think your doing it wrong it looks weird at the start. Use the pic below for reference if you wish. Just be creative with the lines and vary your lengths and thickness. 3. wait for the nails to dry a bit and apply the glitter nail polish as thick or as thin as you wish. A tip my glitter nail varnish was gel like and if it got caught when drying it took of all nail paint on the nail so be patient and wait carefully for it to dry. 4. if you wish you could add small gems to your nails I chose hot pink which didn’t looks as good on the French pink. So choose carefully. My dream nails which I’m sure you’ve seen before. They look amazing and edgy but I’m not sure how I’d able be write and type with them. Hiya I’m taking a break from revision and wanted some help for some idea’s. with hair! I have a confession to make I have an obsession with hair not like making hair into art (anyone see the hair shaped into a deer) but hairstyles I think it’s because when I wear my hair extensions they make me confident! I’m wanting to have a go at two colour hair styles see top right bottom left? I love that style it’s so edgy and gyaru rock-kei. I’m going to do this with hair extension instead as my natural hair is short and dyed black (not emo or scene) so bleaching is a no no. But what I need your help with is this what colour should I put the Black with? I was think auburn but I’m not sure. the style I usually have it in is long and straight or curly like. If you could please suggest some ideas in the comment box that would be great If there is different ideas I’ll buy synthetic ones to experiment with. p.s Like the new blog layout? I'm trying to thing of a new name any suggestions?